A few years ago, I walked confidently into a Starbucks brimming with a smile. But this isn’t about getting free coffee; it’s not about that at all – It’s about realizing the power within us of asking for what we want and receiving it, whatever it may be. I wasn’t short of money when I walked into the coffee shop; I just wanted to see what would happen if I asked. Now, getting what you want won’t always be as easy as my real-life Starbucks example. 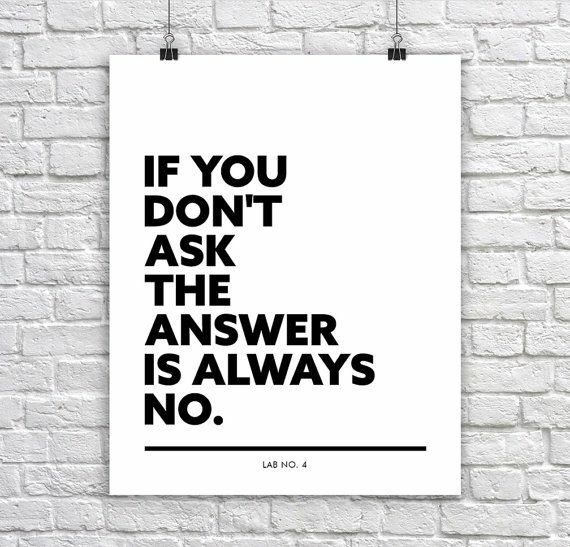 There will be roadblocks, there will be naysayers… imagine if you got a yes for everything, you’d be bored off your skull. The beauty of life is waking up to work towards what you want, gracefully and with resilience. The point is, if you want something, conspire with the universe to make it happen, ask for it, take action and see the results. What’s the worst that can happen? I’d rather live knowing that I tried rather than not ever knowing what could’ve happened. You will be surprised at how many yeses you can get…!